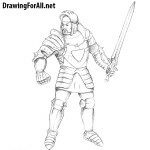 All drawing lessons about people begin with the fact that we draw their skeleton. As always, first outline the head and spine in the form of a long line. 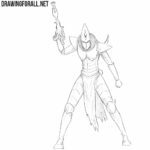 Then draw the chest and pelvis. 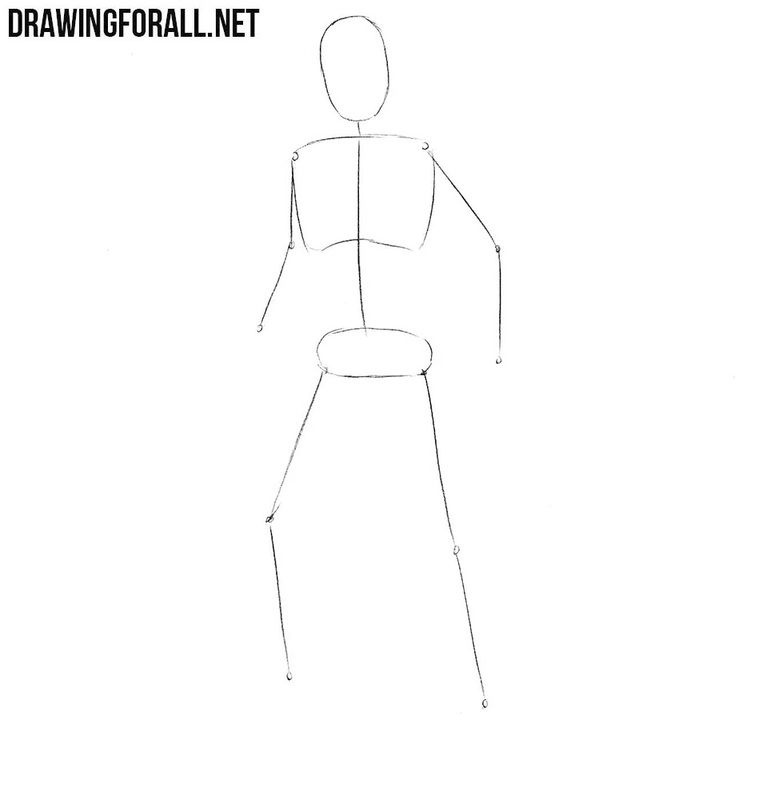 At the end of the first step sketch out the arms and legs that look like simple lines here. ). Next, we sketch out the pelvis and legs with the help of cylindrical figures. In this step we will make our dummy more like Solid Snake. Sketch out the bandage on the head and eyes below the bandage. Next sketch out the nose and mouth. Proceed to the torso and legs. 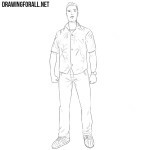 Sketch out the belts and details as shown in our example. 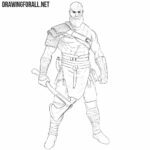 Use clear and sharp lines to draw out the hair of our character. Next, draw the bandage and eyes directly below it. 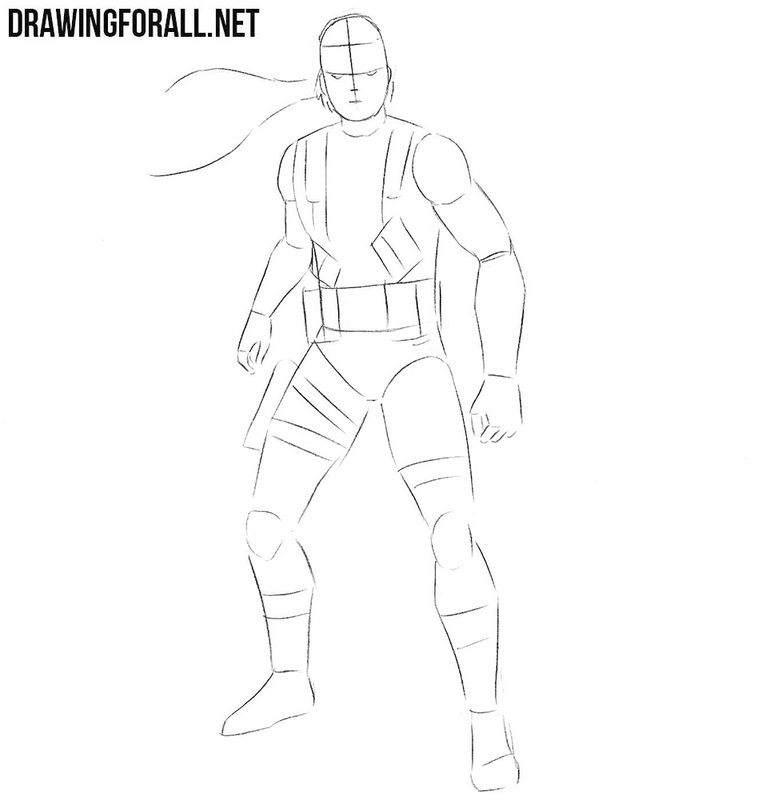 Use clear and sharp lines to draw out the hair of our character. Next, draw the bandage and eyes directly below it. 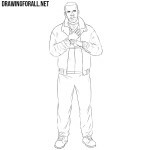 Gently draw out the nose, mouth and outlines of the face. At the end of this step draw bristles. 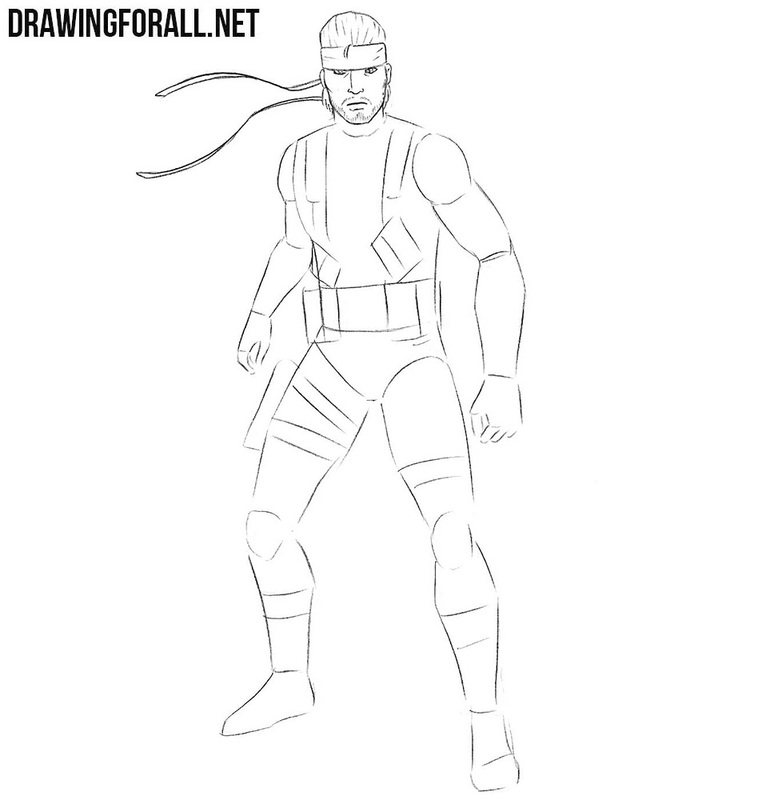 Connect the geometric figures from the previous steps and form the body of our Solid Snake. 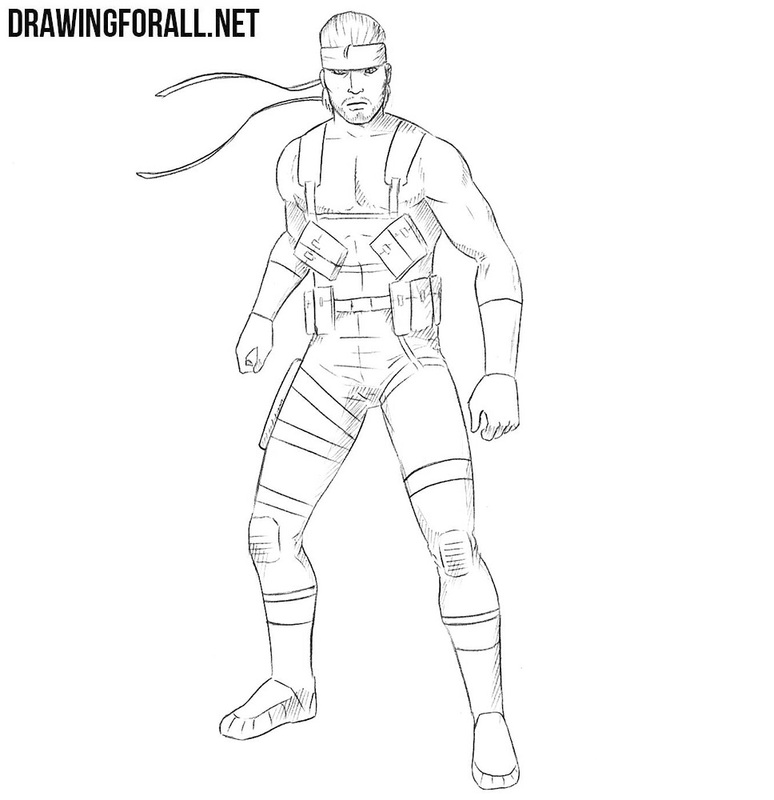 Draw out all the muscles and belts as shown in our example. 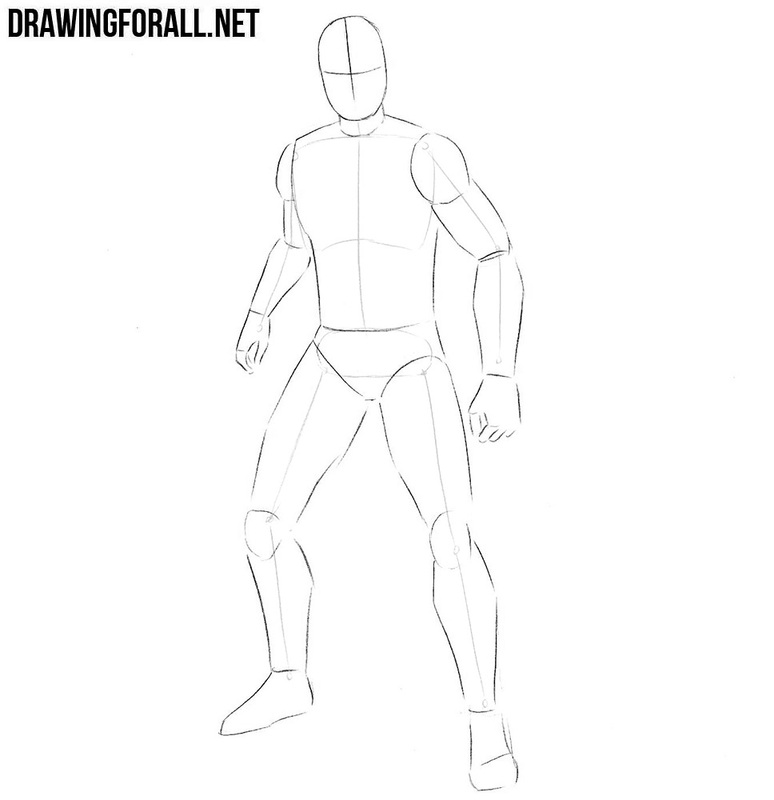 And don’t forget to erase all the guidelines from the torso and arms. Now we pass to the legs of our character. 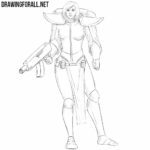 Just like in the previous step, carefully draw out them, erasing all unnecessary guidelines and drawing belts and details on the legs. 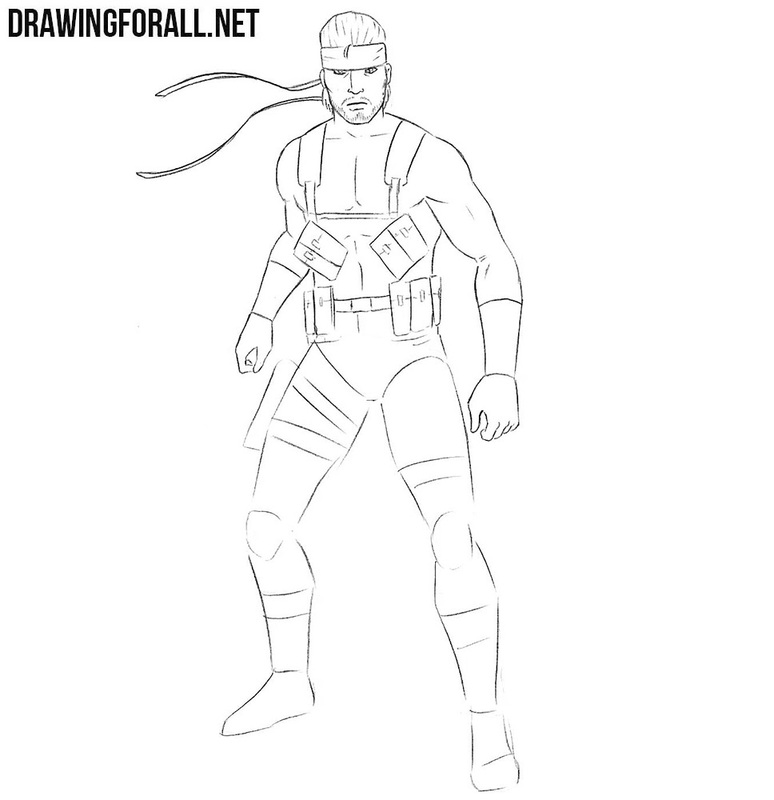 So, the drawing of the Solid Snake is almost ready and we only need to add shadows. Let’s imagine that the shadow falls on our character from above, which means that the shadows must fall on opposite sides of Solid Snake’s body parts. 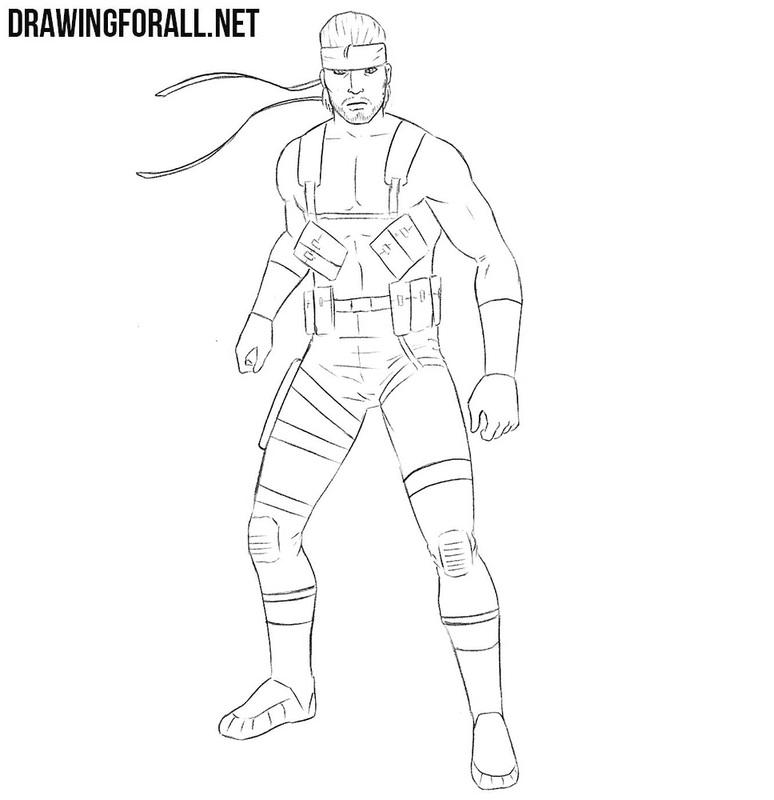 So, it was the drawing lesson about how to draw Solid Snake from Metal Gear. Don’t forget that we have a whole category named “Games” where you will find a lot of different and very interesting lessons about characters from games (for example lessons about MegaMan or Sonya Blade).